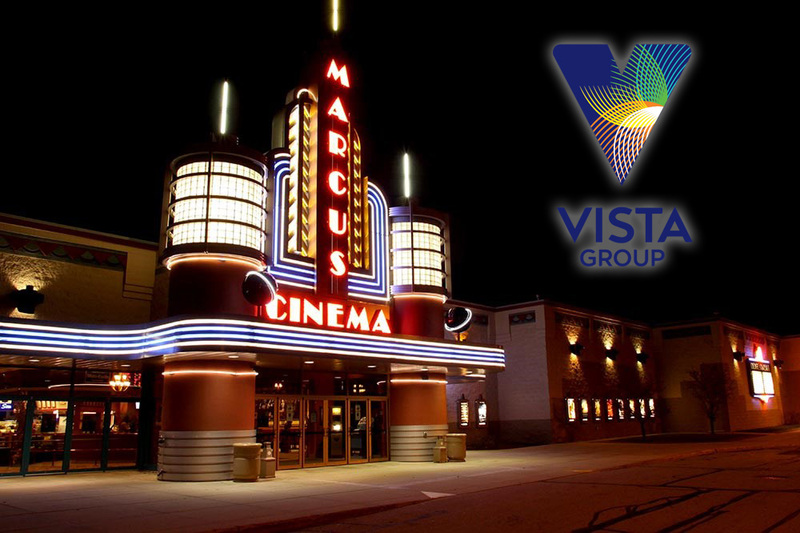 Auckland, New Zealand & Milwaukee, Wisconsin (November 19, 2018) – Vista Group International Limited (‘Vista Group’ NZX & ASX: VGL) welcomes Marcus Theatres as a customer of Vista Group company Vista Entertainment Solutions (‘Vista Cinema’), with the signing of a new long-term agreement. Vista Entertainment Solutions Ltd (Vista Cinema) is the world leader in cinema management software solutions with installations in more than 100 countries around the world and an estimated 40% global market share in the Large Cinema Circuit market. The Vista Cinema software product line comprises multiple modules, integrated and scalable, suited to cinema exhibitors operating 20+ screens and 100s of cinemas. Vista Cinema is head-quartered in Auckland, New Zealand and has subsidiaries incorporated in Los Angeles, London, Shanghai, Beijing, Cape Town and Mexico City. Vista Group International Ltd (Vista Group) is a public company, founded in New Zealand in the mid 1990’s and listed on both the New Zealand and Australian stock exchanges in 2014 (NZX & ASX: VGL). The Group provides software and additional technology solutions across the global film industry. Cinema management software is provided by founding company Vista Entertainment Solutions (‘Vista Cinema’), the core business of the Group. Movio (authority in moviegoer data analytics), Veezi (cloud-based software for the Independent Cinema Market), movieXchange (connecting the movie industry to simplify the supply of film media for promotion and the sale of movie tickets), Maccs (film distribution software), Numero (box office reporting software for film distributors and cinemas), Cinema Intelligence (business intelligence solutions), Powster (creative studio and marketing platform for movie studios) and Flicks (moviegoer ‘go to’ portal for movie information), provide an innovative range of complementary products across additional film industry sectors, from production and distribution, to cinema exhibition through to the moviegoer experience. Marcus Theatres, a division of The Marcus Corporation, is the fourth largest theatre circuit in the United States and currently owns or operates 890 screens at 68 locations in eight states. Upon completion of its announced acquisition of the Movie Tavern circuit in early 2019, Marcus Theatres will own or operate 1,098 screens at 90 locations in 17 states. For more information, please visit www.marcustheatres.com and follow the company on Facebook and Twitter (@Marcus_Theatres).